It started out innocently enough. I was trying to make beer cheese dip with homemade pretzel bites and the recipe called for one cup of ale. I couldn’t for the life of me figure out what ale was. Timidly, I asked my boyfriend, and he looked at me like I had two heads. I’ve been of legal drinking age for a few years now and still didn’t know what an ale was? A prominent beer drinker, I could see the confusion on his face. I knew I liked Corona with lime in the summer, and Guinness in the colder months, but anything beyond that and I’m stumped. A few minutes on Google, and I realized that beer, like wine, can’t just be categorized by some simple groupings. Plainly stated, beer menus confuse me. I can never figure out what I like and when a bartender shouts out that “the IPA is great,” I quickly divert back to my generic vodka tonic order. In the spirit of learning and trying something new, I rounded up a few of the major types of beer. This easy cheat sheet should clear up any confusion and should have you ordering a porter at the local pub pronto! 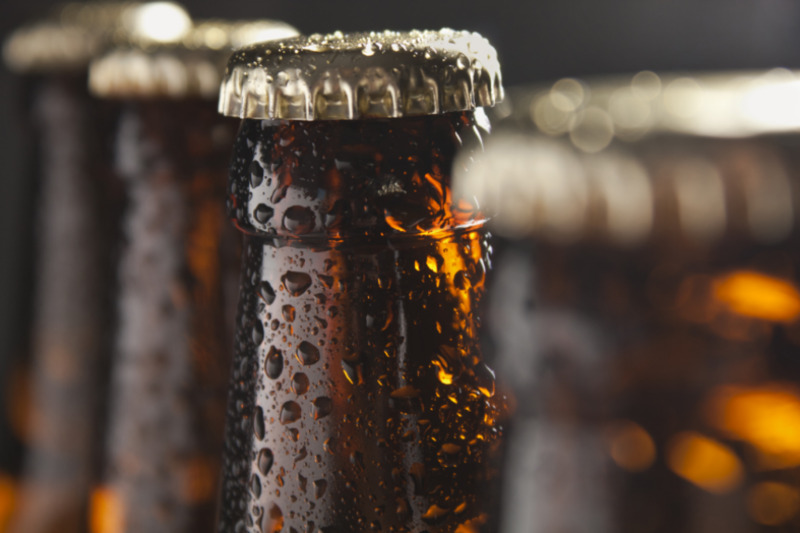 Beer is categorized into two many categories: ales and lagers. Ales are sweeter, tastier beers. Lagers are crisper and filtered. Pale Ale – This is a light colored beer with a sweeter taste. A good example is a Sierra Nevada pale ale that boasts a fragrant bouquet. India Pale Ale (IPA) – IPA’s are similar to pale ales except they are bitterer. They tend to be more golden or darker in color. Stouts – A dark ale that boasts notes of coffee, chocolate, milk, or oatmeal. This is your traditional Guinness. Porter – A very dark ale. Typically a porter will have a smooth body with a deep chocolate taste. Wheat Beer – My favorite, a blue moon! These beers are lighter in color and very refreshing. Pale Lager – This is a standard American beer. They are light in color and incredibly smooth. They have a low alcohol content due to the high level of carbonation. Most of the beers you can think of (Bud Light, Heineken) are lagers. Jamaican Lager – I threw this in because I personally love Red Stripe. It’s like a traditional style lager with a little kick. The old school bottles are neat too. Bock – Originally from Germany, these are dark lagers that are hoppy and malty. Marzen – When I went to Oktoberfest in Munich, this was all we drank. Known as an Oktoberfest beer, this is a full-bodied with a clean dry finish. Typically these beers are on special at your local pub during early fall. Do you have a favorite beer? And do you cook with beer often? Let me know in the comments section below.